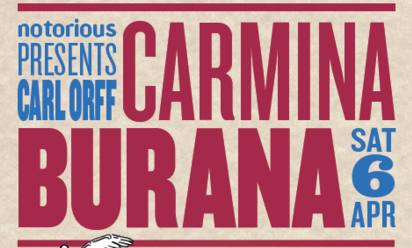 Tickets available from the ticket sellers here! Who needs the Force when you have the power of live music from notorious plus special guests! Blast off with Notorious and special guests on an exhilarating Sci Fi adventure at The Electric cinema where no audience has gone before. From Bach to Bjork and Carpenters to Chopin the audience will be transported on a spectacular musical journey as the choir sing tunes from films and TV, inspired by space and the future. Join in with David Bowie’s Starman and play ‘Guess the famous theremin tune‘ played live by our guest performer Susi O’Neill. Hold on tight as we travel to the edge of reality to uncover the greatest pieces of piano music, performed by special guest Stephen Webster. Arm yourself with your light sabre or sonic screwdriver and prepare for thrills of cosmic proportions delivered by beatboxer Pye, live on stage with the choir. The Electric Cinema is located in the Southside district of Birmingham, and is the UK’s oldest working cinema. It is also home to comfortable seats and sofas, and a bar for notorious audience members to enjoy! Children aged 3 and over are welcome, but will need their own seat. Order yours now via the Electric Cinema website. 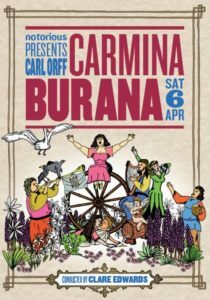 In the run up to this Saturdays biggest ever notorious gig, Christopher Morley at the Birmingham Post has written a fantastic article about us! Don’t forget there’s still time to buy your tickets, just £15 for premium seats and £12 for the stalls – or if you’re a student, get in touch for a special promotion! Any fans of notorious (and other choral works) wanting to get their fill of some lovely Christmas choral music would have a great time seeing Harry Christopher’s choir The Sixteen perform Glory to the Christ Child, next Monday 11th September at Symphony hall. The Guardian promises it to be “An unmissable date on the Advent calendar”! Don’t forget, you can get tickets for the Town Hall on the 25th November by clicking here! While we’re working hard in the run up to our big 20th anniversary spectacular at the Town Hall (25th November, tickets here) there’s still time for a little reflection. And what better way to do it than talk to the couples who met while singing with notorious! You can read all about these lovely people, and why they’re looking forward to performing at the Town Hall, in the Bromsgrove Standard, and The Birmingham Press! 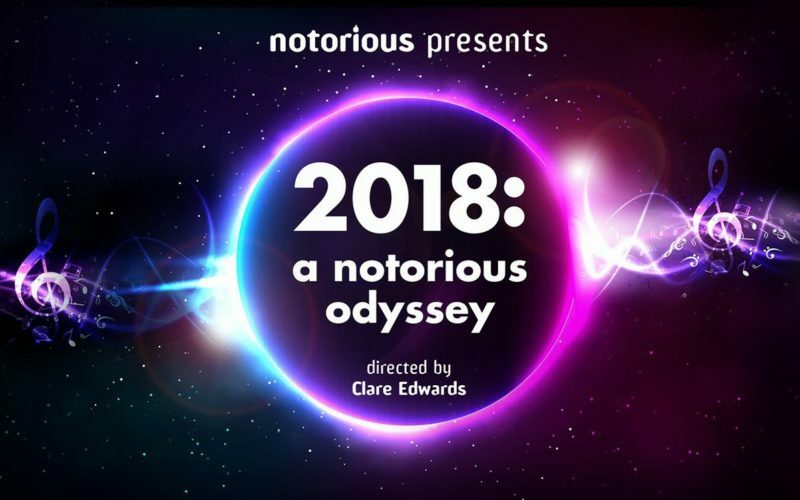 Clare Edwards remembers how Notorious has grown since 1997 and calls back all old members to join us to celebrate our 20th Anniversary. It is difficult to believe that is was really 20 years ago that we started our choir, Notorious. I ran a choir at sixth form college for two years and another one at university for 3 years and I remember thinking that was an achievement! But as I turned 23 a number of members of those previous choirs started to ask me, ‘are you going to set up a choir’ and the rest is history. 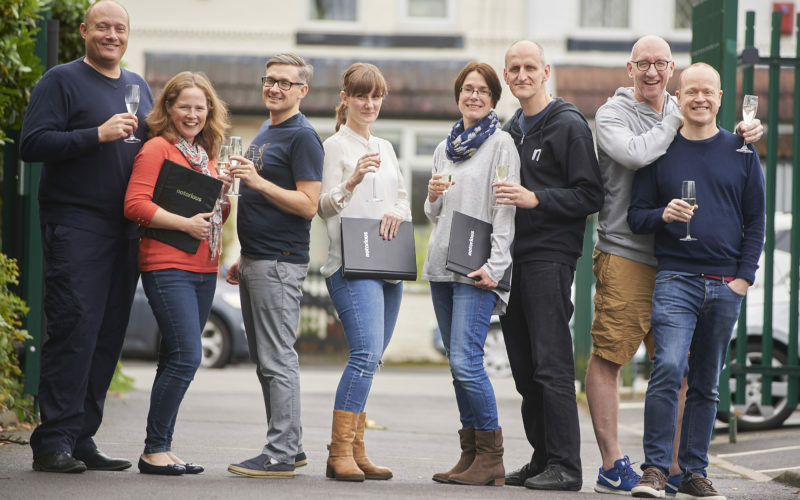 Notorious was formed in 1997 by a group of friends old and new because we felt, at the time, we were too old for youth choirs and too young for the many choral societies that Birmingham had to offer. We wanted to sing a wide range of music (not just classical greats over and over again) and we wanted to be in a choir that challenged us whilst being friendly and non auditioning. We also wanted to sing in as many unusual places as possible. Since 1997 we have stuck to that mission and have grown from 6 or 7 members to around 40 in each concert. The Notorious ‘family’ is much wider than this with over 60 people who sing regularly (but not every term), alumni who keep an eye on us through social media and occasionally sing when life lets them, and the friends and family who support us concert to concert as audiences, programme sellers, and as part of our more formal ‘Friends’ scheme. It still feels like a group of friends. 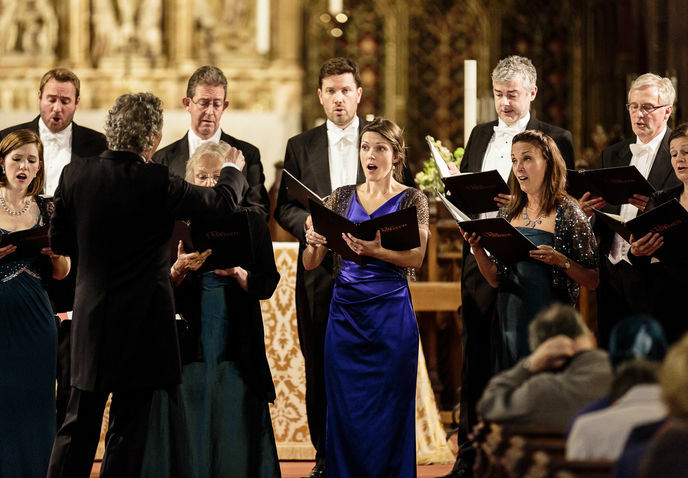 We still sing a massive range of repertoire;Muse, Britten, Prodigy, Faure – you name it. We still sing in usual venues; caves, coffin factories, pubs, a science museum, and a municipal tip to name just a few! The big climax to our 20th Anniversary Celebrations is in November – and we want to ask all our old members/friends to come back and sing with us. 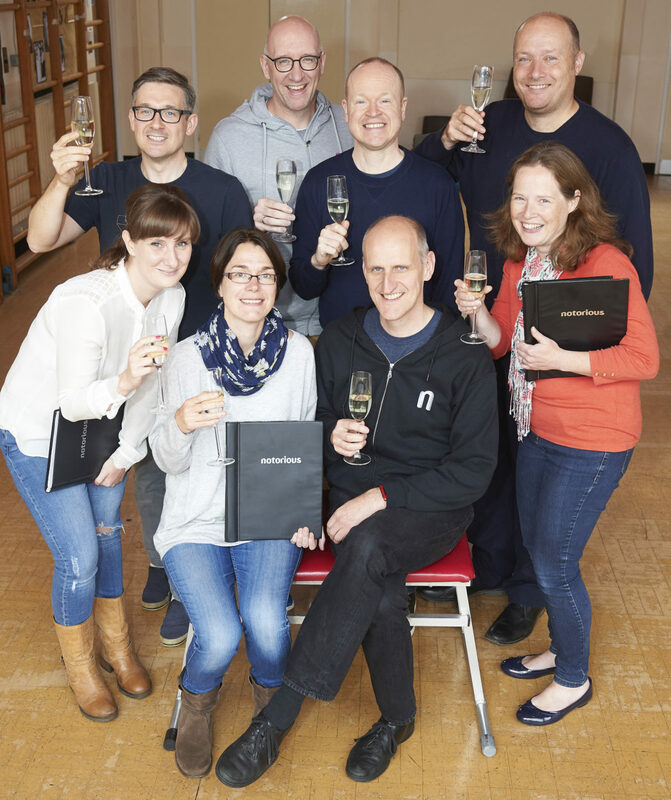 It’s ok if you live far away now – we will live stream rehearsals and record every rehearsal and you will have all the information and support you need to join us. We are planning a weekend of rehearsals on Fri 22nd/Sat 23rd September (with a Ball at Highbury Hall) and finally intensive rehearsals on the day of the show itself. 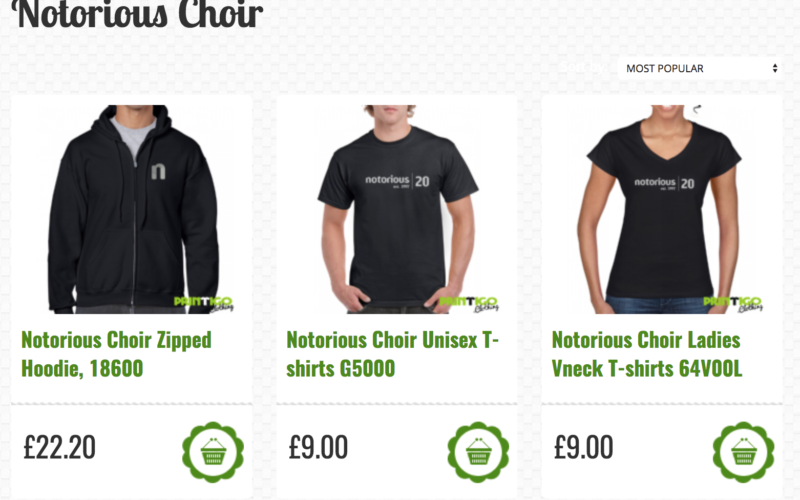 So did you ever sing in Notorious – even for a term? We would love to have you back. We already have 70 confirmed singers and counting. It’s going to be our biggest yet. To register email 2017@notoriouschoir.org – we would love to hear from you! Radio To Go talks to Clare Edwards! Listen to Notorious’ very own musical director Clare Edwards talking to Robin Valk from Radio To Go and Notorious Bass fame! 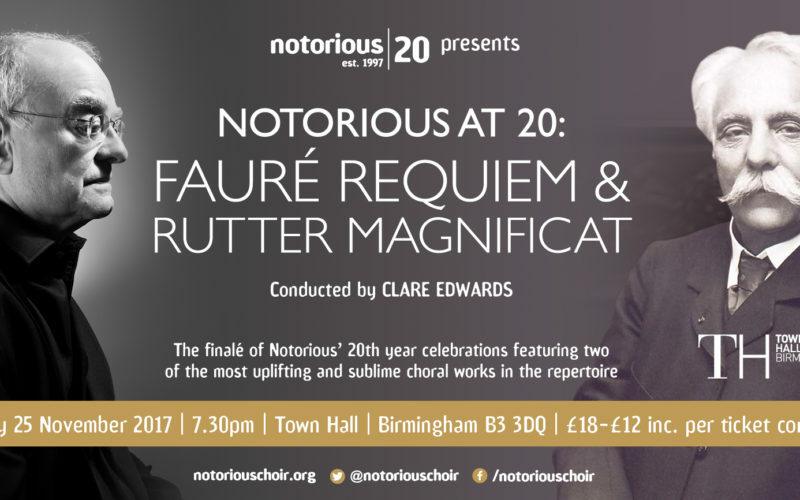 Clare talks about Notorious Choir’s March 2017 Concert, looking back 20 years to the year of the choir’s foundation. With rehearsal audio. You can listen to Clare’s interview by clicking here!